Sailer: John Podhoretz, America's Leading Wit, Calls Me "a Loathsome, Reprllent Racist Filth"
JPod tends to be prone to sudden rage attacks, so it’s not always easy to understand what triggers him. My best guess would be that JPod is upset because I alluded to the hard-earned reputation of the Weinsteins — whose films (such as Django Unchained) have earned an impressive 26 Best Picture nominations — as the most famous purveyors of Oscar bait. As several commenters have suggested, a good name for this movie would be: Based on a True Story. By the way, I’ve lost track of who I got this picture from and who did the Photoshop. Please let me know in the comments so I can credit them. 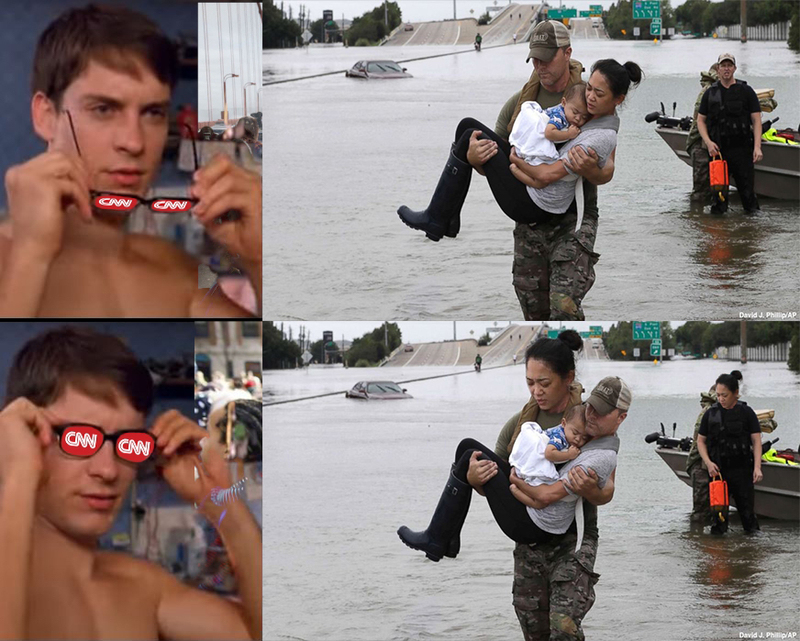 I provided the link to the photo in an earlier comment thread in response to a comment by Dave Pinsen referring to the full original photo showing the woman’s husband. I found the meme photo in a comment thread at Chateau Heartiste, attributed to /pol/. It made me laugh and I’ve been sharing it where appropriate. I don’t know who at /pol/ actually made the meme but full kudos to them. Thanks. Do you have a link to the original? What’s /pol/? I see that a lot but I don’t know what it is. The original photo was taken by David J. Phillip of the AP.